How an Air Scrubber Helps Your Home Indoor Air Quality | Comfort First Heating and Cooling, Inc.
An air scrubber is a portable filtration system that removes particles, gasses, and chemicals from the air in your home. The air passes through a series of heavy-duty filters to cut airborne contaminants. 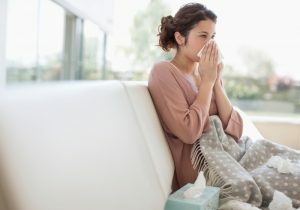 If you decide to install an air scrubber in your home, you’ll enjoy a cleaner space, reduced allergy symptoms, and lessened cold and flu symptoms. When you think of an air purifier, you might think of a system that cleans your air and frees your home of contaminants, but air purifiers also work to neutralize odors in your home. Sometimes we become so accustomed to living with certain odors in our homes that we no longer even notice them, but we can assure you, they’re still there. Household cooking smells, odors from pets, and other aspects leave scents lingering in our home. You love your pets, but your furry friends do come with some unforeseen side effects. Having your animals inside your home allows opportunities for their hair to shed throughout your home. An air scrubber is a great system because it seizes these contaminants, traps, and eliminates them from causing respiratory problems in your home. This is the main purpose of an air scrubber. If you don’t have an air purification system in your home, your air is filled with airborne bacteria, dust, and mold spores. You might not think about this on a daily basis and you’re probably used to the negative effects of this but putting a filtration system in place to catch and neutralize these threats will help you breathe easier and improve the overall comfort of your home. Are you dusting your home more often than you’d like to? It’s probably because of your HVAC system. When you don’t have a great air purification system in place, dust will keep appearing in your home no matter how often you clean because there’s no way for it to leave your system. You can dramatically reduce the amount of dust in your home with an air scrubber which will trap dust particles in the air and eliminate them. Looking to install an air scrubber in your home? Contact Comfort First Heating and Cooling, Inc. to schedule an appointment today.